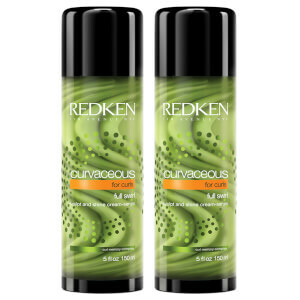 Great for full bodied curls that need to be elongated, this Curvaceous Full Swirl Cream Serum from Redken works to seal in moisture whilst locking out humidity, giving you optimum frizz control and defined, lavish curls that will be the envy of all your friends. The 2-in-1 swirled formula mixes a controlling serum with a lightweight cream, making your hair light and bouncy. With an easy-peasy application process, this serum will give you locks fit for the red carpet with minimal effort, what more could you ask for? Holds curls well, but is rather sticky and no better than other creams which are far cheaper. Sadly, this product did not work for me. It left my hair sticky and hard, just as any cheap mousse would do. I purchase the curvaceous full swirl cream serum because it moisturisers my hair and has a nice creamy texture which defines my curl and leaves it soft looking. It also takes out the frizz. Really nice to work with and leaves a nice feel in your hair. 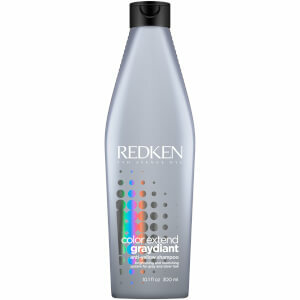 This product is perfect for long curly hair. You dont get the sticky feeling at all. When I have place my order I was looking forward to the product. But Unfortunately when it arrived it did not have the result that was supposed to do. The result was sticky, leaving the hair hard and unpleasant. Sorry I will not buy it again. For years i've been waiting for this product. Finally my hair looks fantastic. It is worth the money we pay for it.